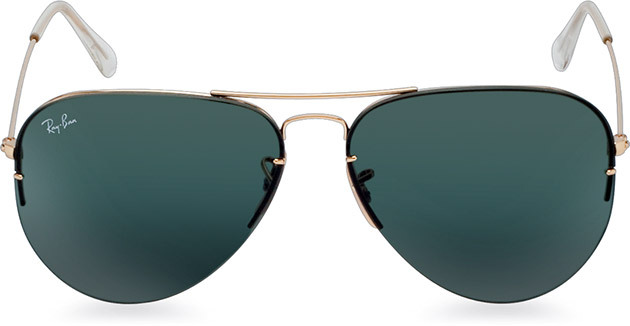 In a mission to create a more versatile sunglasses, Ray-Ban is adding some new features to their classic Aviator. The Ray-Ban RB3460 59 ($230) boast a rimless, memory metal frames that comes with three pairs of interchangeable lenses, including mirrored, gradient and polarized. The 100% UV-protected lenses fit in the frames securely, but can be swapped out easily for optimal clarity in varying light conditions.